“One of the ways that restorative dialogue is different than punishment is that participation is by invitation. You can choose not to be in dialogue with the people who have been affected. Instead you can submit to the system of discipline based on punishment. Invite discussion and clarification of how restorative and punitive approaches co-exist in the classroom and in the school. What have been our experiences with using punishment to manage student misbehavior? How is it working out for us? What are some situations we’ve encountered where our efforts to manage misbehavior have been frustrating and not had the results we hoped for? 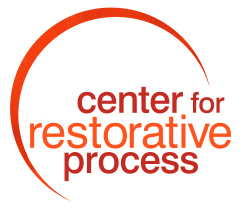 How can restorative practices fit in with other methods we use? "I thank all of you, students and parents alike, who worked hard to establish understanding and agreements, and address the hurtful and damaging behaviors that took place. It was a time of heightened emotions; each one of us, me included, came to a new understanding. This is the heart of being a human being--how we grow and learn in order to become more effective in the world."